Personally, I won’t buy a normal, traditional laptop again. This Fall, the Chromebook will forever change how we use computers. A Chromebook’s exactly what most people need—a browser—and nothing more. That’s true right now. Once Android comes around, you’ll also have access to the biggest ecosystem of apps any laptop has ever seen. That might start to blow up the whole notion of a “laptop.” If you can wait to see what happens, how weird it really gets, I bet it’ll be worth it. The Chromebook will finally take the user into the real ‘post-pc’ world. Personally, I think adding the complete Google Play Store to Chromebooks with all the millions of Android apps is one of the most important and biggest steps ever taken for modern personal computing. We will see a lot of different formed Chromebooks now. 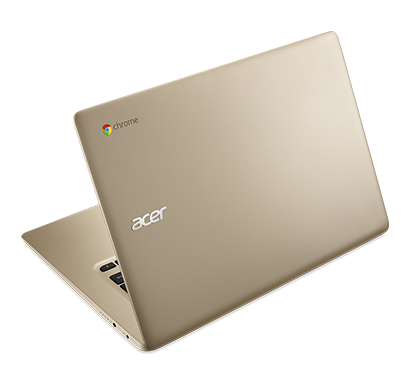 Traditional formed laptops, some with touch screens, some with detachable screens, convertibles, and maybe even some tablets and smartphones running Chrome OS with full Google Play Store with all the Android apps. We will of course also see a lot of new apps developed that is optimized for the Chromebook now. Personally, I can’t wait to be able to use Cyberlink PowerDirector on a Chromebook. Or IA Writer, Recforge, Moon+ Reader and much more. Everything probably completely in sync with my android phone too. Google is on to something really big here.